Back to Basics: 5 Simple Workouts You Know So Well You’ve Forgotten – and How to Incorporate Them Into Your Routine! Why go back to basics? These five simple workout moves target the major muscle groups so that you can get strong and toned. They’re basic because they work and many people seem to have forgotten how to do these basic moves or just don’t bother to do them anymore. No equipment, no time, no problem! These moves require no or minimal equipment and take minimal time, but offer maximum results. Below are the moves, so you can make sure you’re performing them correctly. While it is best to combine these moves with a cardio session, these are excellent, efficient moves that you can perform when you were going to take the day off in a matter of minutes. While there are many variations of the squat, the basic squat is a simple, fuss-free move that delivers great results for your core, glutes and thighs – all of the trouble zones! Begin by planting feet on the floor (standing up) with feet approximately hip width apart. Knees should be soft throughout the entire workout (so no hyperextension of the knee – even in the “up” position!) This greatly reduces the risk of injury and keeps muscles activated. Inhale as you lower your body down, while keeping you feet still. Stay in the “down” position for 1 count and return to start position, exhaling as you come up and keeping knees soft. That was 1 rep. Depending on your fitness level, you may want to start out doing 3 sets of 12. If you are a more advanced exerciser, try 3 sets of 20, 25 or 30. This move is a great multi-tasker. Grab some weights (or you can perform this without the weights, or fill up two water bottles for some added weight if you do not have equipment). Stand with one foot in front of you and one foot in back of you, with the back heel lifted off the floor. This heel should remain off the floor for the entire exercise. Hold 5-15 lb. weights in each hand and bend elbows at a 90 degree angle (approximately). As you lower, bend your front knee and lower your back knee toward the floor, but do not allow it to touch the floor (you should hover about an inch or two over the floor). While you are lowering, pull the weights in toward your shoulders so that your elbow bends further toward your body (in case you have not noticed at this point, your arms are performing a biceps curl). 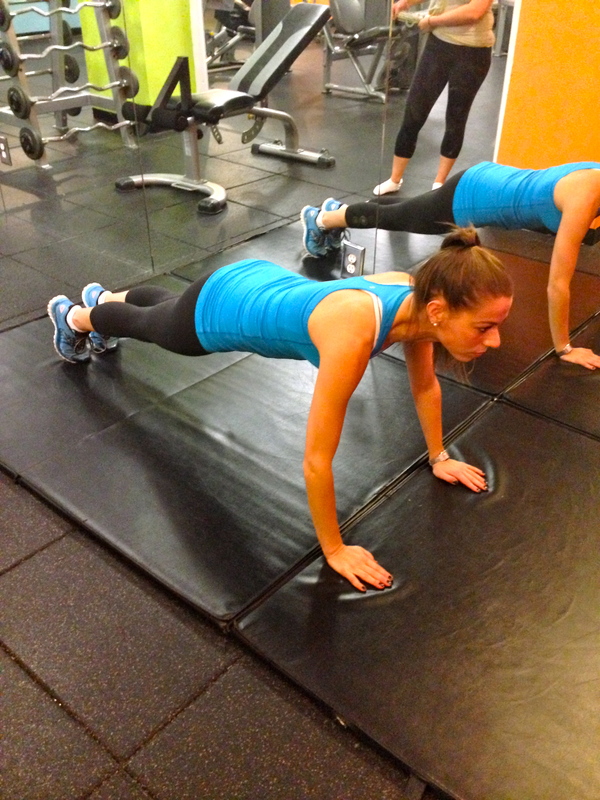 Hover in the “down” position for 1 count and bring yourself back to the start position for 1 rep. Perform 15-25 reps on the same leg in a row for and then switch legs to complete the set. Perform 3 sets. Everyone’s dreaded workout – but they really work! 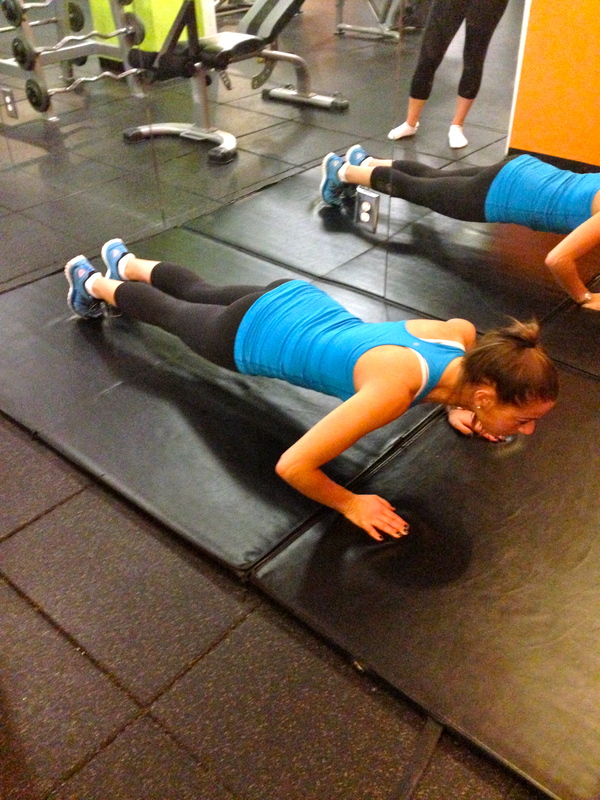 Push-ups are great for your shoulders, chest and arms, as well as your core. There are many variations of push-ups: extra wide (targets deltoids), narrow, keeping elbows in toward your torso (targets triceps), etc. However, the basic push-up is a great place to start, and an effective exercise to include in your routine. Begin by placing hands about shoulder width apart, palms facing down on the mat, elbows slightly bent (so as not to hyperextend). Use a mirror to check your position – no butts in the air and no slumping butts toward the floor! Your body should essentially form a straight line. Inhale as you slowly lower with control and return to start as you exhale. Been avoiding push-ups? No worries, start by performing 3 sets of 5. More advanced? Try to do 3 sets of 15-20. Increase the number of reps at your own pace. You will know you are doing the right amount when your form is correct throughout the entire set, but the last few seem very difficult to erk out. My personal favorite! 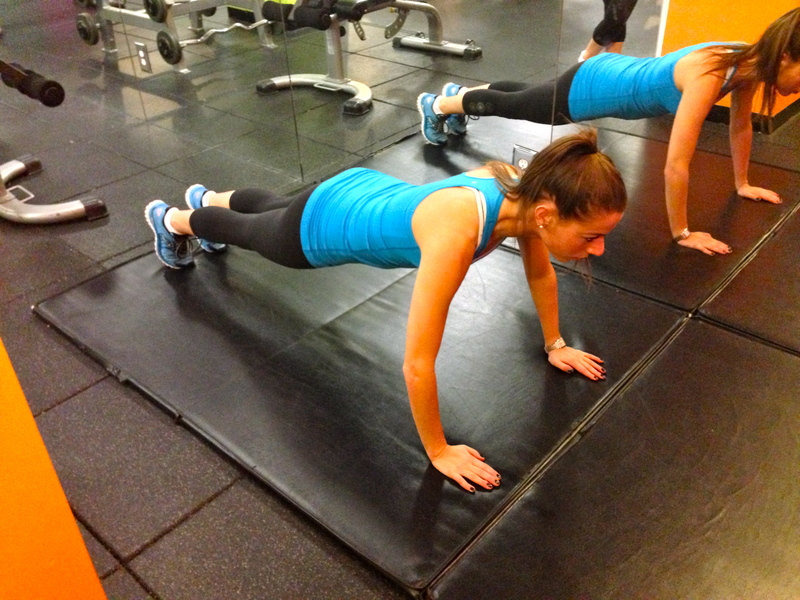 This exercise can be done in a variety of ways, so I have shown my two favorite basic planks below. For the yoga plank: begin in your standard push-up position, but instead, hold the position. Again, check your positioning! Wrist joints should be directly below shoulder joints and your body should essentially form a straight line from head to toe. A good length for a beginner is 30 seconds. 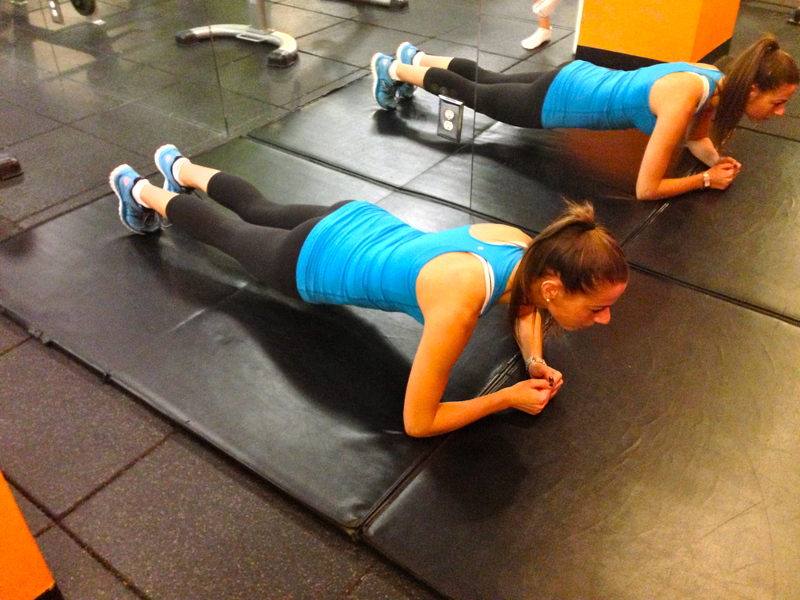 As you progress, try to hold the plank for 1 minute or more. Advanced? Keep setting new goals by increasing the time or consider variations of planks, such as incorporating leg raises, holding out arms, etc. Similarly, the basic forearm plank can progress in the same way. For this version, forearms should be on the mat, with both hands in a fist, touching one another. Again, wrist joints should be directly beneath elbow joints. The basic crunch is often misused or not utilized at all, but truthfully, it really works well to engage your abs! The key is ensuring you maintain proper form, otherwise your neck ends up getting strained and doing most of the work, so your abs remain weak and your neck gets strained – ow! As you set up, lay down on the mat with legs bent and feet on the mat, so knees are pointed up toward the ceiling. Place hands behind your head but do not interlock your fingers. Slightly raise your head, neck and upper back off of the mat and continue gazing at the ceiling. To ensure proper positioning, imagine you are holding an orange between your chin and your chest (about the size of your fist). If you clench your chin to your chest, the orange will burst. However, if you let your head fall too far back, the orange will roll off. Your head should be in the perfect position to maintain the orange’s position if it were to be there. (Still not getting it? Grab an orange! You will feel the difference!) Engage your core as you lift your upper body further off of the mat (but maintain proper neck positioning) and exhale. Inhale as you return to start. try doing 30 slow crunches followed by 30 pulses (extra fast, like your pumping your body up to a beat). Or, try doing 30 crunches and on the 30th, holding the “up” position for 5-10 counts, then repeating a few times. Try to perform 3 sets. These moves can be done in conjunction with other exercises or on their own for a great workout that targets the major muscle groups. Want to mix it up? Perform 3 sets of every exercise above, going through each one set at a time. Another great idea is to add some plyometrics (essentially, jumping, weight-bearing exercises) in between each set. This can be done by jumping on an aerobic step (with both feet at one time) and back to the floor for one minute. Always remember to stretch after each workout and fuel up with real food to give your muscles the fuel they need to recover and get stronger! *Prior to beginning any fitness regimen, please consult your physician and make sure that you are fit to engage in such activity. If you feel unfit to perform this or any other recommended exercise, or feel faint, ill, injured or uneasy while performing an exercise, stop immediately and seek medical attention. 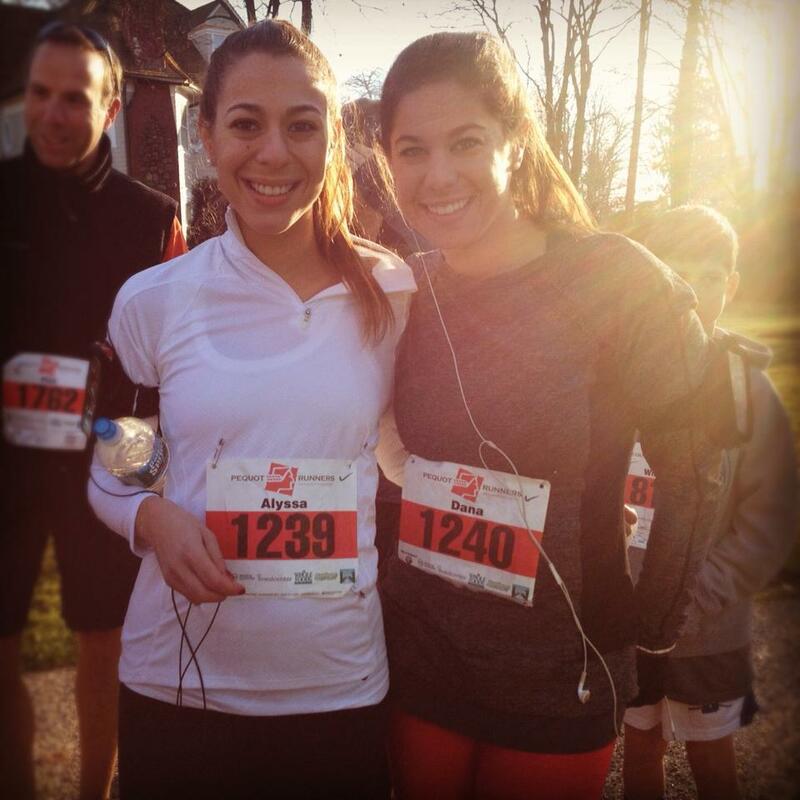 This Thursday, my sister and I ran a turkey trot prior to celebrating Thanksgiving with our family. Not only was it great to run 5 miles before a day of eating, but it also made me realize that I have so much to be thankful for! While I was running, I was able to reflect on the blessings in my life, such as family, friends, and my opportunity to pursue the career of my dreams. 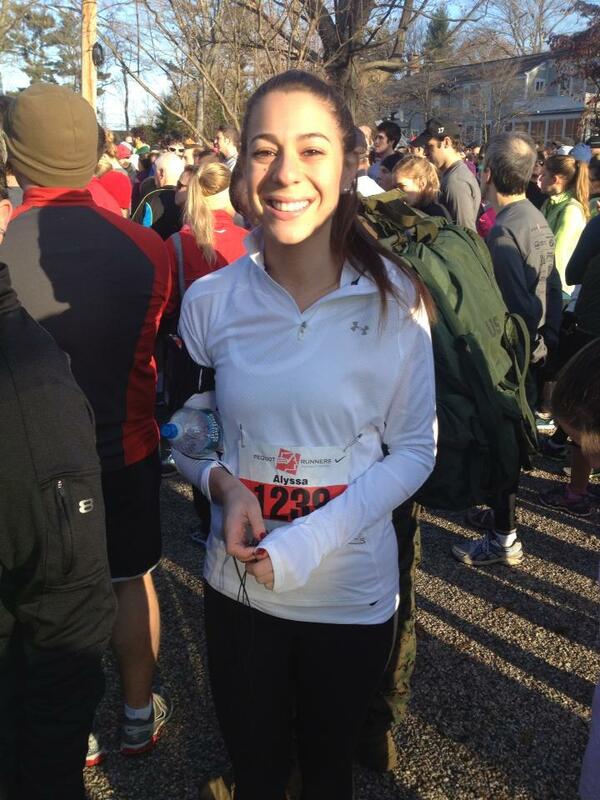 Also, I was thankful for my body and my health – each step made me grateful that I was able to run and I was so proud that my legs carried me through another race. 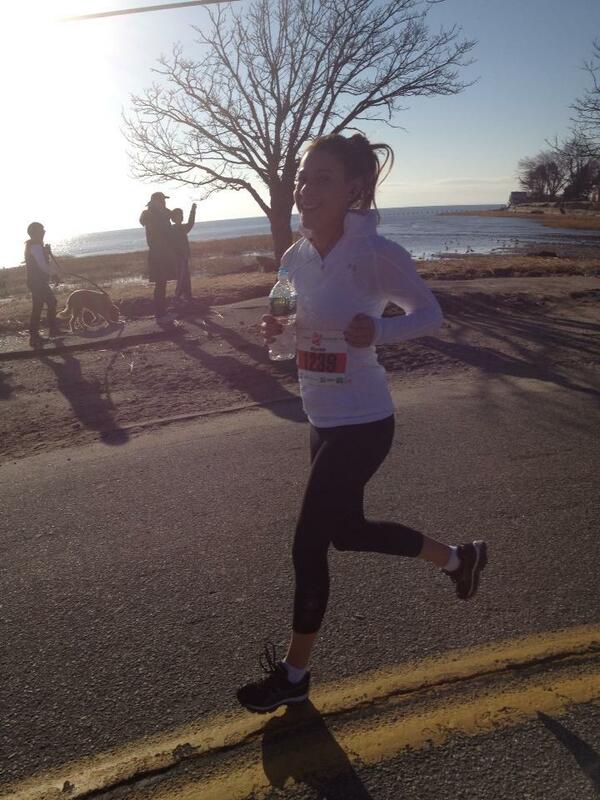 This turkey trot was a local race that was organized by volunteers in my community. It was pretty cheap to register and the race included not just a wonderful morning outside, but also a t-shirt and a gift bag with virtual coupons and gifts from local businesses, as a “thanks” for running! There are often similar races throughout the country on Thanksgiving morning, along with random races throughout the year – some of them to benefit charities! These races are a great opportunity to train for longer races, enjoy the great outdoors, or just enjoy running with fellow runners. The best part? The community lines up along the sidewalks to cheer you on, which really keeps you going strong! I hope everyone had an amazing Thanksgiving, as we all have so much to be thankful for! Keep fueling your body with foods that make your body thankful! Remember – food is fuel for your run, your workout and your active life! Stumped for a good move to incorporate into your workout routine? Try out this move for your abs! This move will primarily target your obliques and rectus abdominis muscles. Also, your glutes and many of your leg muscles will feel the effects of this move! Start out by laying supine on a mat on a hard floor, holding a medicine ball in hands. Lift your back off the mat so your back is at roughly a 60 degree angle with the mat. Lift your legs off the ground, balancing on your glutes, with both legs slightly bent at the knee. Your feet should not touch the ground through the remainder of the exercise. Straighten your right leg and bend your left leg as you engage your abs, inhale and rotate your core and the medicine ball to your right side. This is position A. Engage your abs and breathe in as you rotate your core toward the left, bringing the medicine ball over to your left side and switching the positioning of your legs (bend your right leg and straighten your left leg). Exhale as you reach position B. Repeat this move as you inhale and continue to move from position A to position B. One rep is the complete rotation of position A to position B. Perform 3 sets of 15 reps. I suggest starting with a 2 or 4 pound medicine ball, unless you are familiar with moves similar to this one and are comfortable with a larger weight. It is easy to strain your neck and/or back if you use a weight that is too heavy. If you feel as though the weight you choose is too light, increase your weight accordingly. Also, if you feel as though your form becomes faulty while using the weight, lower your weight or forget about the medicine ball completely. You can always add more weight later on! 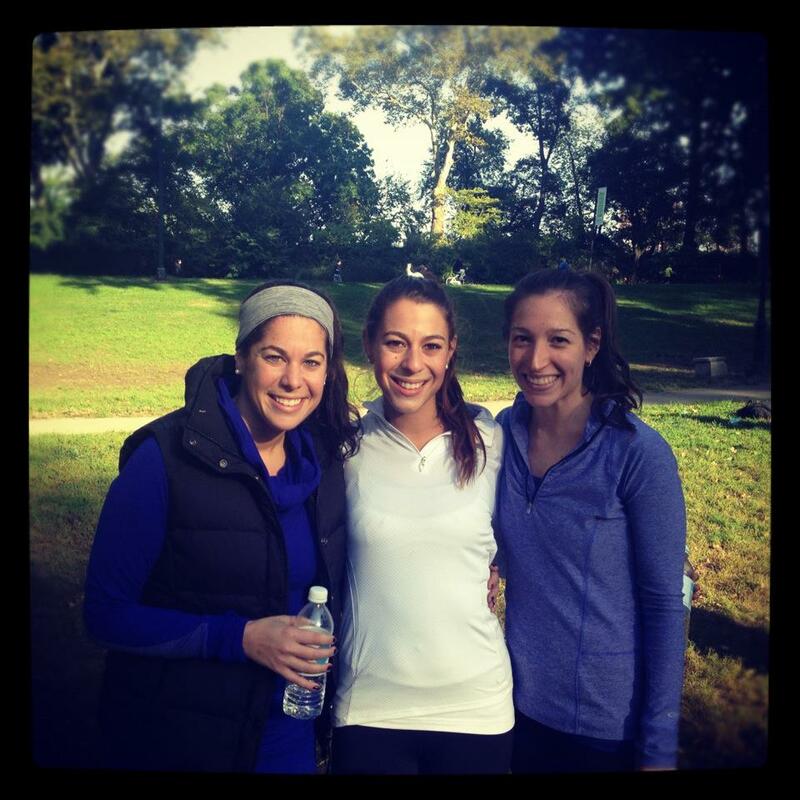 Dana, Erica and Me after the Lulu Lemon East Meets West Event in Central Park! 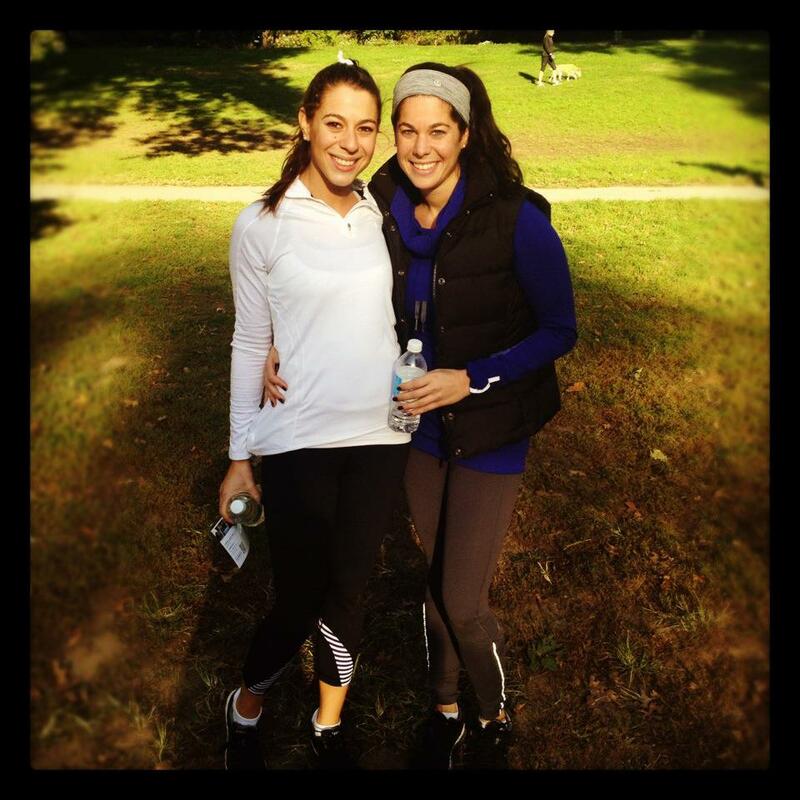 Last weekend, I joined my sister and her friend and completed a Lulu Lemon luluathlon! Not quite a triathlon – but definitely a fun fitness challenge! We started off by spinning at Flywheel for 45 minutes, (thanks for the complimentary class!) and then ran 2 miles to central park where we completed about an hour of boot camp, thanks to AS1! We filled the boot camp portion of the event with squats, burpees, push-ups and dips right on the green grass of central park. Lulu Lemon called this event East Meets West, and the strength training portion created some competition between East and West siders! I hope Lulu Lemon continues to do events like this one, because it was a perfect way to spend some quality time with my sister and some friends on a sunny saturday! Best of all – the event was totally free (with the exception of the lulu lemon tank I felt compelled to purchase before the event)! My sister (Dana) and me!